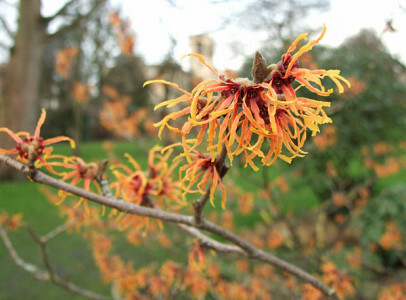 Not much flowering in gardens in January, even in classy botanical gardens like our own lovely Museum Gardens. But this is all you need really, isn’t it. Splendid thing, rising out of the muddy ground, blazing through the winter gloom, in January 2013. 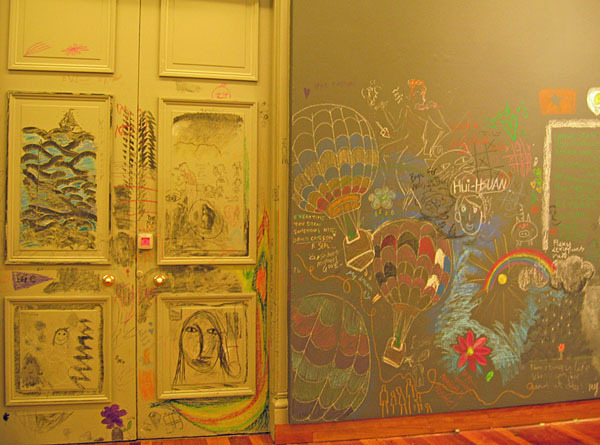 In February we had permission to draw all over the art gallery walls, before it closed for major refurbishment. The opportunity was seized enthusiastically, as these colourful drawings show. Many times when passing through the Museum Gardens through the year I’ve admired the planting around the observatory. 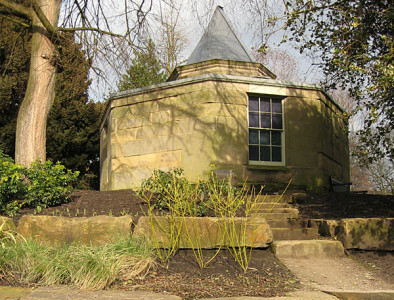 This was taken the day after the spring equinox, and as the wise old observatory no doubt knows, it won’t be long now before it’s surrounded by green shoots. For now, mainly bare soil and muted tones blending in with its old stone. 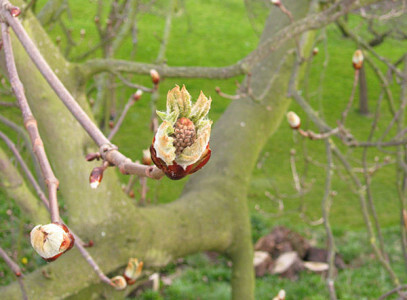 A highlight of springtime York, the horse chestnut buds opening on the trees in the Minster precincts, close to the walls walk. These trees have stood here blossoming for many a year, as many generations walk the walls and while Deanerys are demolished and rebuilt. Hurrah, it’s May. There are new leaves on the lime trees, there’s a glimpse of the Minster lit by the sun, and between them the city walls above brightening grass. Let’s hang around in May for a while, remembering giddy springtime. 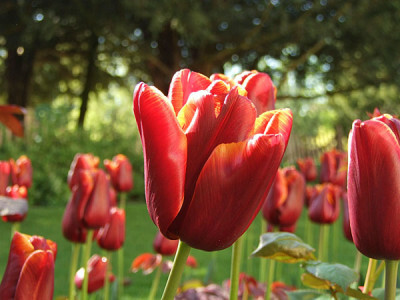 May is also tulip-time. Tulips in the Museum Gardens, May 2013. Let’s stay a little longer in these days of May. I often poke my camera through these railings, at the Treasurer’s House. 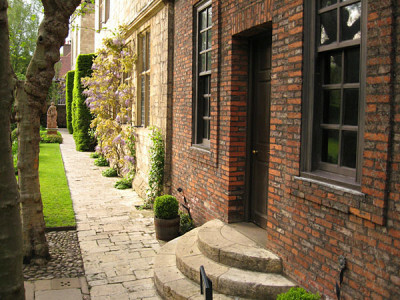 Here, on the last day of May, wisteria on the walls, and all calm and handsome in the Treasurer’s House gardens. 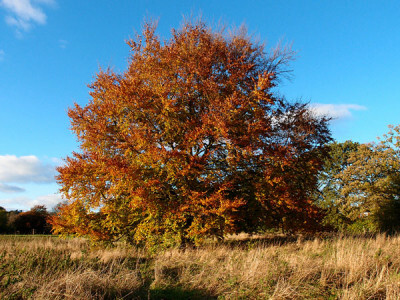 It would look rather different later in the year, on a dark autumn evening. Into the giddy light-filled nights of June, its long evenings. In the Museum Gardens (again), around 8pm, a couple of days before the summer solstice. People were partying in and around the hospitium. I just sat here looking at the light on these old stones. This year I paid a lot of attention to paving. Many of us did. Here’s a favourite bit of paving, leading me homewards, around 8.30 on a still-bright evening in June. 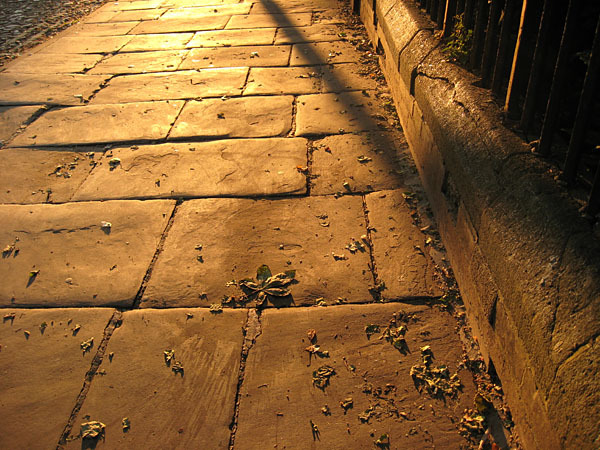 Walking along the path by the Minster has always been delightful. 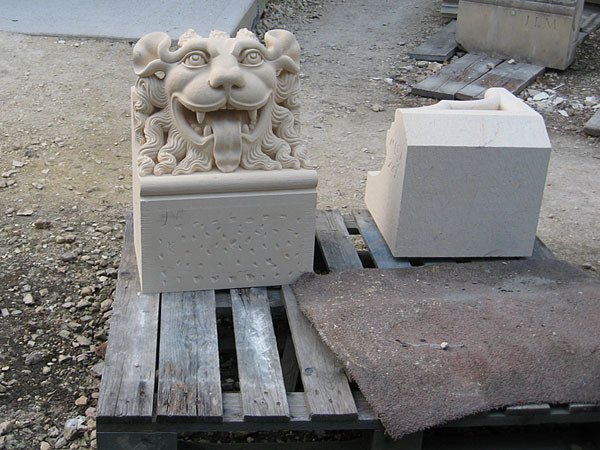 Enlivened even more since they added the Mason’s Lodge, where we can see the carvings made for the restoration work. I chanced upon this magical creature, one evening in July, waiting here to be lifted into place. I imagine he’s up high by now, somewhere on the Minster, looking down on us. Grandiose topiary creations are impressive, but not easy or quick to do. Save time and get a more cheerful effect with a stuck-on face. 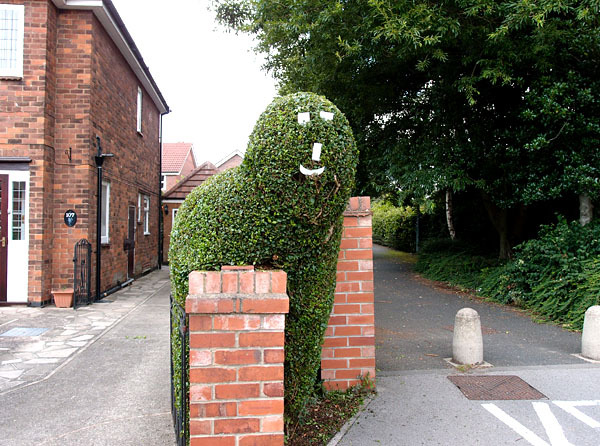 Spotted on Burton Stone Lane, in August, this hedge-head made me smile. 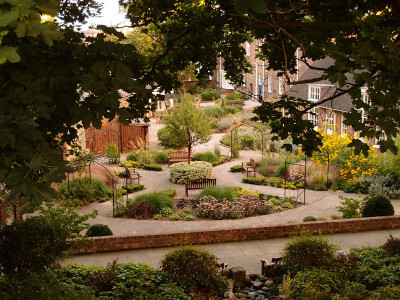 A place I’ve meant to mention for some time, the sensory garden by the Quilt Museum. 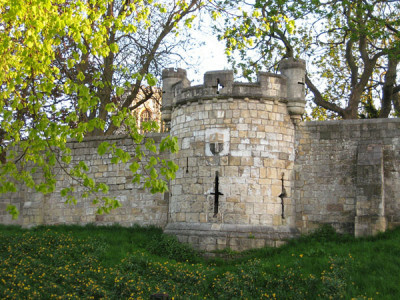 Pictured from the city walls, in soft evening light. It has been made and planted since I started these pages, and much appreciated it is. Thankfully York residents can still enter the Minster for free, with proof of address. 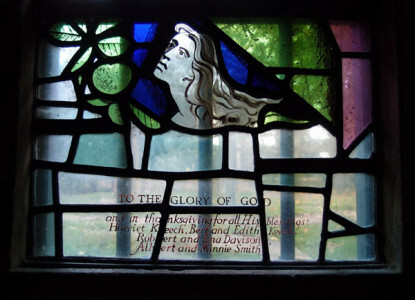 One afternoon towards the end of September I felt the need to visit, to sit here quietly and look at the sun through the stained glass windows. Late October, at St Olaves church in search of something else, I noticed this inscription in one of its windows. Not far away from here, at the end of Sycamore Terrace, alongside an old snicket which wends its way through Clifton, was the Bert Keech bowls club. Its clubhouse has been demolished, and its bowling green is overgrown with weeds, but Bert Keech is remembered here, with family and friends, in a more lasting memorial. Just a tree, a beech tree, in autumn finery, alongside Shipton Rd, near the grounds of the former Clifton hospital. A proper tree, not messed about with and ‘crown lifted’ as they are in the city centre, its branches left to hang as close to the ground as they want to. Inside its canopy the remains of a tree house. A bright thing on this November day. Winter solstice, the shortest day. Here, at the end of it, at dusk, just after 4pm. The river is rising around the water tower of St Mary’s, as it has done for centuries. 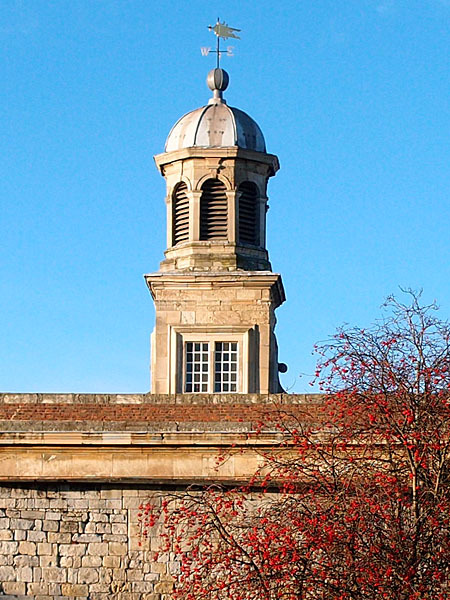 Rather than finish with an image of gloomy dusk, here’s a brighter photo, from Christmas Day, from Castle Mills bridge, where the clock tower of the old prison building (now the Castle Museum) peeks up above the wall, with bright winter berries beneath. 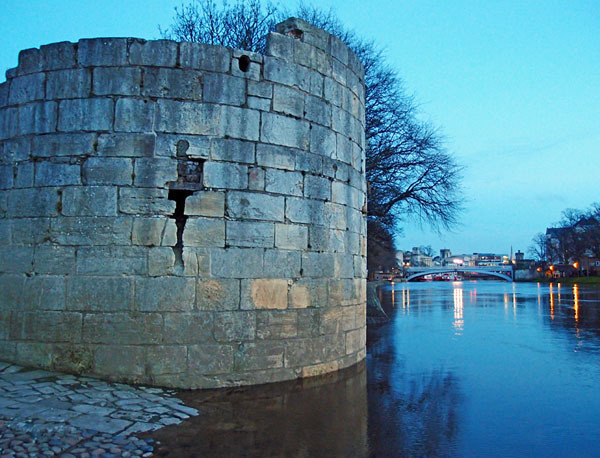 Around the other side, the clock on this tower faces the eye of York and Clifford’s Tower. This evening it and the other clocks will mark midnight and the transition from one year to the next, as so many of York’s timepieces have done for so long. Wishing everyone a happy 2014. 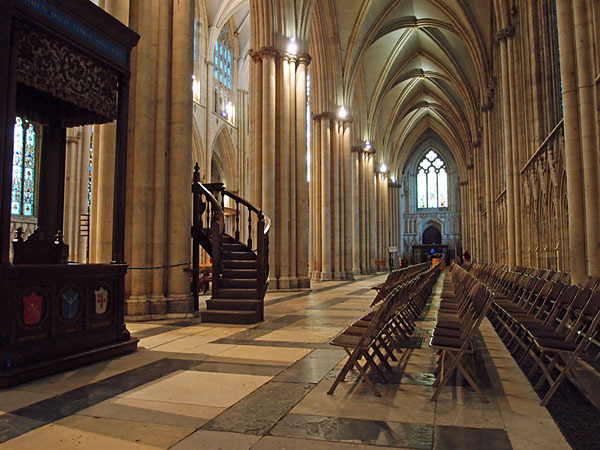 By Lisa @YorkStories • 31 December 2013 Miscellany To link to this page's proper location please use the > permalink. These are beautiful Lisa. 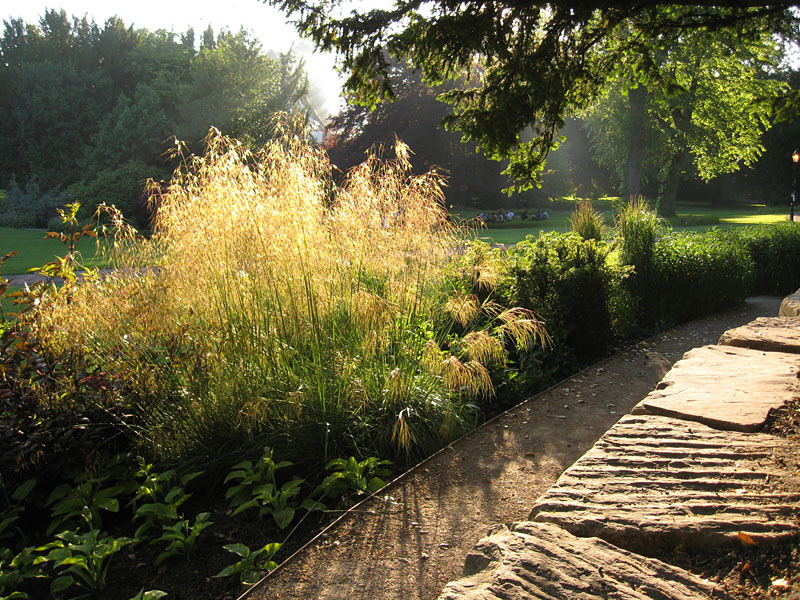 I particularly love the light on the stone on the summer evening ones. 2013 summer and autumn was really special – I had so many sublime moments cycling home after a long day gardening in that kind of light. It felt a privilege to be alive, and to be here right now. Your photos capture that better than most. Here’s to more of those moments for all of us in 2014. A lovely review of 2013: wonderful pictures and well-chosen words (as always). Thanks for all you’ve shared with us over the last year. Lovely review of the year. I visited in July and spent 4 blissful days exploring and falling head over heals in love with this beautiful city. Hope to return soon, until then I’ll enjoy your pics!